Enjoy your included, one-night stay in Minneapolis. The evening is yours to get self-acquainted with the city. Our Hospitality Desk will be located in the hotel for your convenience between 2:00 PM and 7:00 PM. It is here that our friendly staff can assist with everything from general questions about your upcoming voyage to reserving Premium Shore Excursions. 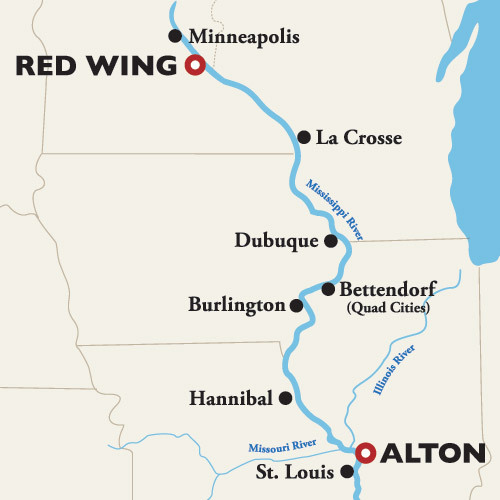 An American Queen Steamboat Company representative, as well as a local representative, will be readily available to provide you with dining, entertainment, and sight-seeing suggestions so that you may maximize your time in Minneapolis.